What is WORKS in PROCESS? 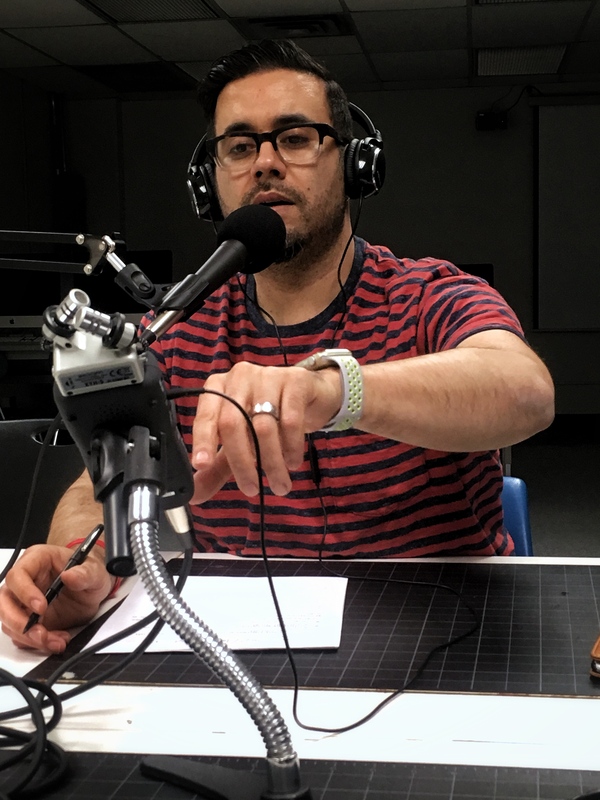 Hey, my name is George Garrastegui Jr. — I design, I teach and I flesh out creative ideas ... and now I'm starting a podcast. Works In Process is a series of conversations with creative individuals that explore the evolution and technique behind their latest projects— highlighting, exploring and possibly demystifying the creative process. This podcast is a way to discover, and really uncover the creative process that goes behind the work that creatives do. I speak to designers, artists, writers, and other types of creative individuals to discuss their process. Through hopeful candid conversations, I want to highlight the guests that I talk to. It is the way they work and their projects that inspired me. As a culture, we are so quick to like, heart, share, and /or comments on creativity these days, that we sometimes don't sit back and appreciate the real work—the process— that goes into any creative solution. I hope to maybe change that—slowly. George Garrastegui Jr is a designer, a creative catalyst and passionate educator. A native New Yorker, he can’t help but be enthralled by its history, architecture, music, art, and culture. He sees himself as a jack-of-all-trades in the design industry working and crafting creative solutions for such clients as: Aéropostale, Cadillac, Ford, Popular Mechanics, Road & Track and Esquire. But above all, he is most passionate about the personal projects and affiliations that have increased his definition of what it means to be a designer. Whether it’s sharing his take on the creative process, producing an online magazine, sparking new creative initiatives, or joining the national design association (AIGA’s) diversity and inclusion task force, he is committed to the belief that you are not a designer because it’s your job, but because it’s who you are. Since the year 2000, George has moved past the job of design, and established additional outlets that have armed him with the skill set, desire, and courage to fail better. work[s]in.pro/cess is a podcast conversation series by George Garrastegui, Jr.